New cracks have been discovered in one of Scotland’s ageing nuclear reactors, raising radiation safety fears and resulting in a prolonged shutdown. Checks have detected fresh cracks in the graphite core of a reactor at Hunterston B in North Ayrshire. The reactor was taken offline on 9 March, but is not now due to restart until 1 May at the earliest, more than a month later than originally planned. The UK government safety watchdog, the Office for Nuclear Regulation (ONR), is assessing whether the cracks render the reactor too dangerous to fire up. Its operator, EDF Energy, insists it will reopen, but critics say it should stay shut. Both ONR and EDF told The Ferret that new cracks had been found at Hunterston reactor number three during inspections in recent weeks. But they wouldn’t say how many, or how significant they were. “We are currently assessing the safety case submitted by EDF after a planned outage identified a number of cracks in the graphite blocks that make up reactor three’s core,” said an ONR spokesman. According to EDF’s website, Hunterston reactor three was originally due back online on 30 March after a “graphite inspection outage”. But this has been repeatedly postponed to 6 April, 19 April, 24 April and now 1 May. The company confirmed that it had “discovered cracks in the inspections during the current outage”. It promised to report the details to the local site stakeholder group after the reactor was restarted. “As part of the normal ageing process we expect to see defects occurring in some of the graphite blocks that make up the reactor core of our plants,” said an EDF spokeswoman. The expert nuclear engineer, John Large, also suggested that the reactor should be closed down. “The core at Hunterston may now be in such a poor structural state that its collapse during a relatively modest earthquake could result in a nuclear fuel meltdown and significant radioactive release,” he said. Professor Paul Bowen, a metallurgist from the University of Birmingham who advises ONR, thought that ONR was likely to insist on more frequent inspections rather than reactor closure. “I’m absolutely confident that the regulator will take a very conservative position,” he said. The Green MSP for the west of Scotland, Ross Greer, warned that the discovery of new cracks would cause widespread concern. “EDF and the regulator must explain what has been found, and seek the community’s views, before putting this reactor back online,” he said. The Scottish Government confirmed it was aware of the situation at Hunterston. “We understand that the ONR’s assessment is on-going and that formal permission must be provided before the reactor is restarted,” said a spokesperson. There are two nuclear power stations currently operating in Scotland. At Hunterston B in North Ayrshire two advanced gas-cooled reactors started generating electricity in 1976. They were originally due to close in 2006, but their operator, EDF Energy, is now hoping to keep them going until 2023. At Torness in East Lothian, two similar reactors started up in 1988. They were originally due to close in 2018, but EDF now hopes to keep them open until at least 2030. 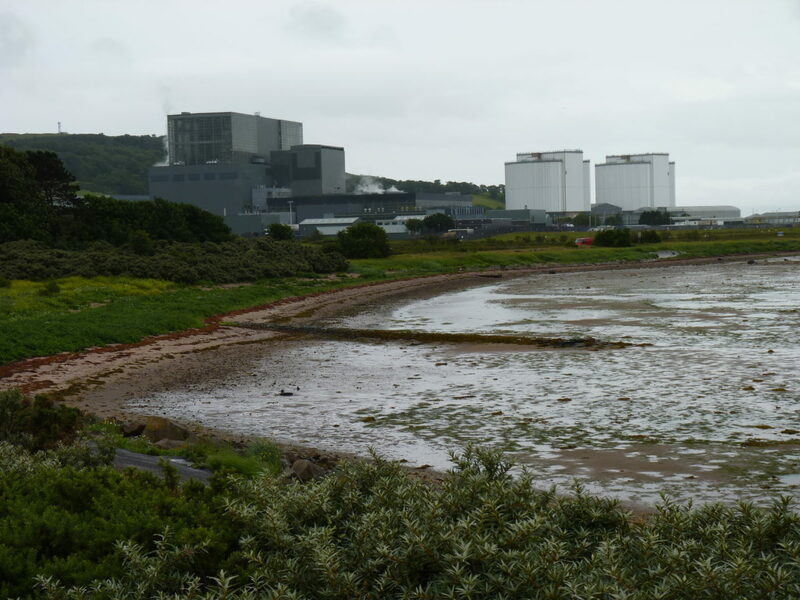 Hunterston is also the site of two earlier magnox reactors, which were closed for decommissioning in 1989 and 1990. Other defunct reactors are being decommissioned at Chapelcross in Dumfriesshire and at Dounreay in Caithness. Photo thanks to James Allan, licensed for reuse under this Creative Commons Licence. A version of this story was published in the Sunday Herald on 22 April 2018.